Winners of the 2018 HVACR Leadership Awards were formally announced at CCN Live in Melbourne last week. More than 100 participants attended CCN Live which was sponsored by Refrigerant Reclaim Australia. Winners were announced across all seven categories for the HVACR Leadership Awards which are sponsored by ABB, Daikin, Innotech, Mitsubishi Heavy Industries Air Conditioning, Toshiba and Totaline. The presentation began with the double award for Male and Female Rising Star and was presented by ABB's HVAC segment manager, Paul Burrows. The winner of Rising Star (Female) was BUENO general manager, Lina Le and Rising Star (Male) was Engie Services technician, Mitchell Beattie. Toshiba's business unit manager for Australia, John Caione, presented the Innovator of the Year Award to Regulator Australia CEO, Neil Kenny. The Leader in Energy Savings and Sustainability Award went to Engie Services Australia engineer, David Odd. Contractor of the Year Award winner was Sutton Refrigeration director, Robert Sutton. He was presented with his award by the national sales manager at Mitsubishi Heavy Industries Air Conditioning, Adrian Brown. Next up was the Fridgie of the Year Award which was presented by Totaline national product manager, Gajanan Bhalero. The winner and the very first Fridgie of the Year went to Jindabyne Refrigeration manager, Andrew Solomon. Daikin's account manager for development, Kerry Knight, presented the Woman of the Year in HVACR Award to South Coast Refrigeration & Air Conditioning managing director, Vonnette Cook. Finally, the HVACR Leader of the Year Award which is sponsored by Innotech was announced by the managing director of controls temperature Systems, Craig Waldron. The 2018 HVACR Leader of the Year Award went to AJ Baker & Sons managing director, Mike Baker. 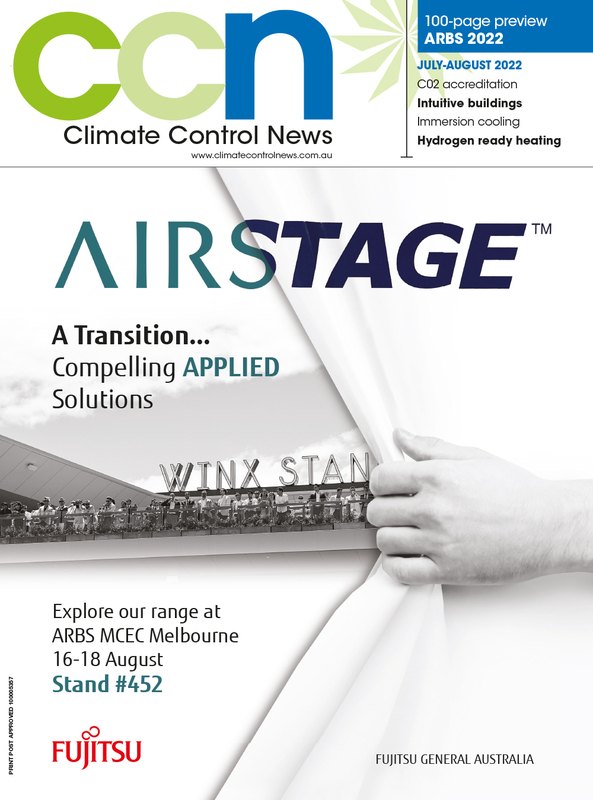 Detailed coverage of the event including profiles on all of the winners will appear in the November edition of Climate Control News magazine.